← King v. Burwell is Decided, Now What? While King v. Burwell had a happy ending for supporters of the ACA, the Supreme Court will continue to be a venue for cases that could have a major impact on health reform. When the court reconvenes in October, one case to watch on their docket will be Gobeille vs. Liberty Mutual. To understand Gobeille vs. Liberty Mutual, a bit of background and health insurance terminology is helpful. Most large companies do not actually purchase health insurance for their employees. Instead, they are self-insured, that is, “the employer itself collects premiums from enrollees and takes on the responsibility of paying employees’ and dependents’ medical claims.” Often these employers contract with an insurance company or other third party administrator for such services as enrollment, claims processing and building provider networks. Now, a background on the case. It originated in Vermont — a leader state when it comes to health reform even with the end (for now) of the pursuit of a single payer health insurance system. Vermont is maintaining that leadership in many ways, but one of them is by building and maintaining the ability to collect and analyze and share data about health care costs, prices and quality. This case is about whether Vermont will be able to collect that information from some private employers. While states are the regulators of health insurance, there is an exemption that does not allow them to regulate these self-insured plans employer. Instead, all of these plans may only be regulated at the federal level, under a law known as ERISA. The case began in Vermont in 2011, when the Vermont Green Mountain Care Board, and the database they oversee, VHCURES, sought to get claims information from a self-insured company, in this case, Liberty Mutual, an automobile, home and life insurance company. Liberty Mutual refused, and a lawsuit was filed that has been wending its way through the federal court system. On June 29, 2015, the Supreme Court decided to hear the case in their next term. Many other states operate similar data collection systems, known as All Payer Claims Databases (APCD). Connecticut is building our own APCD now, under the auspices of Access Health CT. Connecticut’s law creating the APCD states that third party administrators must supply data to our APCD. So this decision will have an impact on Connecticut. 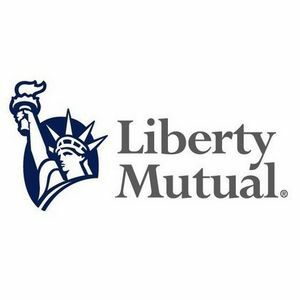 Aside from the technical issues discussed above, it is also important to recognize that it is being pursued by an insurance company, Liberty Mutual. It started in Vermont, a state that was pursuing implementing a single payer system. But it is now playing out in a manner that could have negative consequences for any state that is trying to make transparent how insurance dollars are being spent. If you are concerned about health policy, this is a case you will want to watch. The Incidental Economist: Can Vermont Ask Employers About Health Prices? This entry was posted in Jill Zorn and tagged Cost & Quality. Bookmark the permalink.